As a PTSA member, do I need to volunteer? It is optional how active of a member you would like to be. We welcome our wonderful volunteers in the programs and events we plan for the year! And encourage member participation in general meetings and other activities. But, the amount of involvement with the PTSA is your choice. Anyone can be a PTSA member. PTSA membership is open to everyone, parents, grandparents, friends and community members! PTSA is an inclusive organization and we invite all adults who care about children and schools to join. 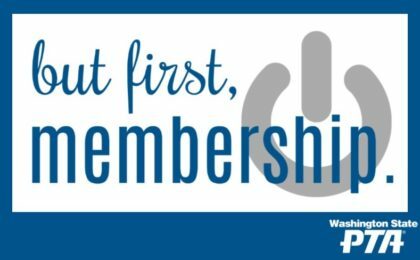 Although you may still participate in PTSA activities without a formal membership, by joining you gain the right to vote on PTSA issues - from board members to budgets! How does Fairwood PTSA support my child? Book Fairs - Family fun nights - Art Docent - Reflections - Yearbook - Assemblies - Field Trips - Albert Einstein Day - Science Fair -Talent Show - Drama - Emergency Preparedness supplies - and more! Why Join the Fairwood PTSA? Your membership is your voice (legislative voice) for the children of Fairwood Elementary. The more members our PTSA has, the more voting delegates we receive at the state level. More voting delegates means more votes that support the interests of Fairwood Elementary and its families. Our kids are worth the investment and a strong PTSA illustrates our community’s support to our school and children. It pays to be a member! Check out some of the PTSA benefits! Click HERE for more details about Washington State Member Benefits. Click HERE for more details about National PTA Member Benefits. If you wish to pay by check or cash, paper forms will be available at the school front office. 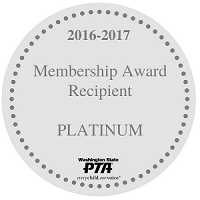 Or send us an email (membership@fairwoodptsa.org) and we will send one home in your child's Tuesday packet. You can return the paper form along with your check/cash (please put in an envelope) to the PTSA Membership folder or in your child's Tuesday packet.